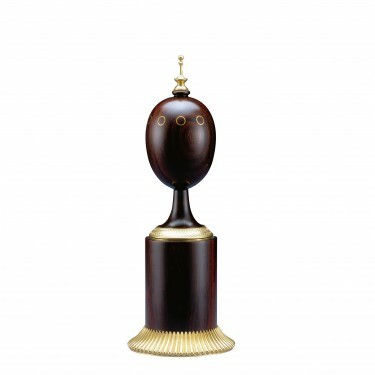 The Editor's Scribe Egg is made from cocobolo wood from replenished sources. 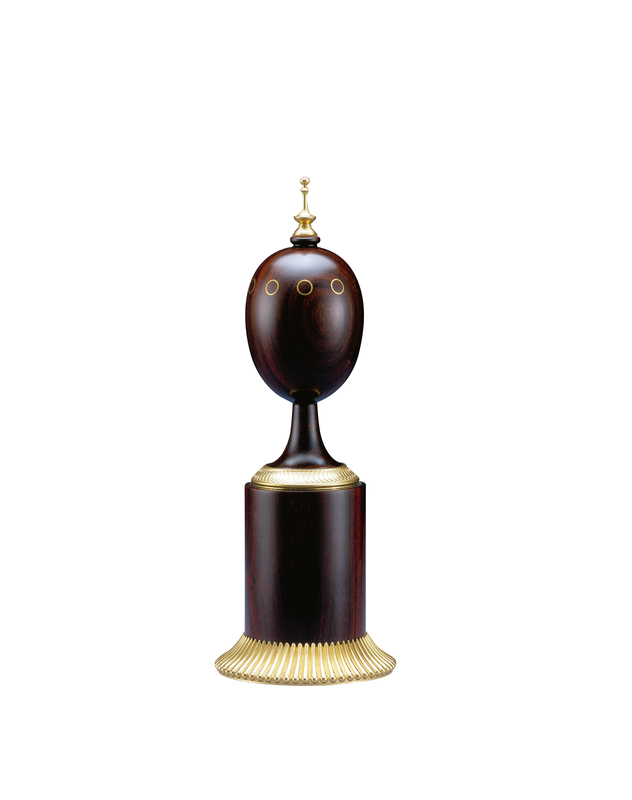 The Egg is ornamentally turned by Theo Fabergé and enhanced with a 24 carat gold plated finial, embellished with a cabochon ruby. 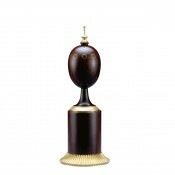 By lifting the finial, the secret is revealed, an editor's scribe pen.